Those of you who follow Google's augmented reality adventures will probably know of the Lenovo Phab2 Pro (which hilariously isn't getting Nougat) and the ASUS ZenFone AR - both rather bulky phones with complicated-looking camera arrangements on the back. But ARCore is something a bit different; it aims to bring augmented reality to phones that the general public uses, starting today. ARCore differs from Tango in that it can't sense depth, which Tango could do by emitting IR signals. While this was cool (Ars Technica notes an app called Matterport Scenes that could basically get a 3D model of anything), most Tango apps didn't end up using it. However, ARCore will have Visual Positioning Service (VPS), a service that will enable "world scale AR experiences well beyond a tabletop." In plain English, it'll be able to sync data across your devices and detect your position via GPS indoors, enabling your phone to recognize your position relative to a room. Google is also releasing prototype browsers for web developers that will enable them to enhance their sites with augmented reality that will be able to run on both ARCore and ARKit (iOS's AR SDK). Pretty cool stuff. The Pixel and Galaxy S8 can play with ARCore's demos starting today, but Google is working with Samsung, Huawei, LG, ASUS, and more to bring this to more phones with 7.0 Nougat+. The target is for 100 million devices to support ARCore by the end of the preview, which should happen sometime in winter 2017. ARCore will likely have a similar hardware requirement/certification to Daydream VR, although it won't be as tough since the screen won't be an inch from your face. 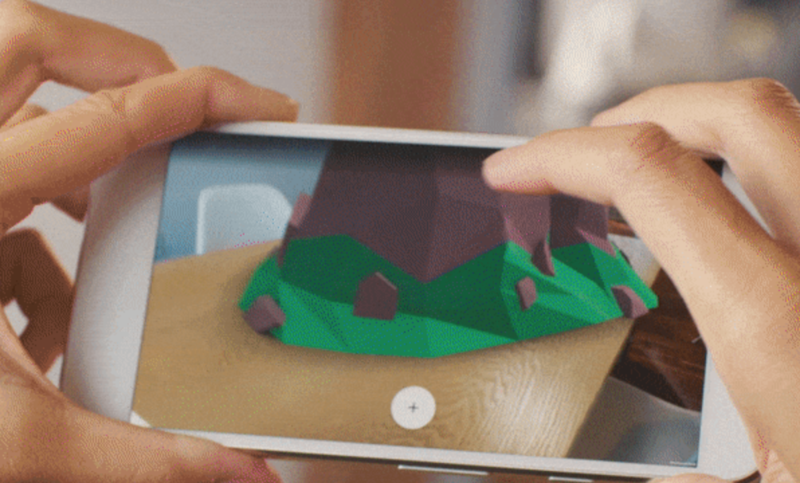 In the meantime, you can check out some AR experiments by Google here. It's pretty cool to see what can be done with this kind of technology.